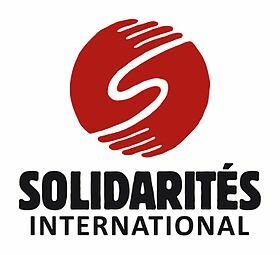 SOLIDARITÉS INTERNATIONAL is a French humanitarian organization which provides aid and assistance to victims of war or natural disaster. For over 38 years, our organization has worked towards meeting the three basic needs – water, food and shelter – of vulnerable and crisis-affected populations, and has been more specifically committed to fight against waterborne diseases, leading cause of death in the world. SI’s interventions are carried out based on its expertise in the field of access to safe drinking water, sanitation and hygiene promotion, but also in the essential ones of food security and livelihoods. SOLIDARITES INTERNATIONAL is currently present in about 20 countries where SI staff – a total of 2,000 people comprising expatriates, local staff, HQ employees and some volunteers – implements programs with professionalism and commitment whilst being mindful of respecting other cultures. Mozambique, Zimbabwe and Malawi have been hitten by a hurricane of rare violence, with winds peaking at over 250 km/h. The city of Beira, Mozambique’s second largest city in terms of population, would be more than 80% destroyed. Over a radius of 100 km, homes, hospitals, schools, water treatment plants have been devastated either by winds, waves or river floods. The situation is described as a major disaster, and critical due to a logistical access made complex by the events. We also fear a potential epidemic in this endemic cholera region. In this context, SI has sent a first emergency team to provide drinking water to the affected populations. We’re going to need a second team around mid april 2019. WASH Technical, WASH Distibution, Logistician, Administrative Coordinator, and Country Director profiles, with a strong appetite for emergency contexts, are invited to apply as soon as possible! If you speak Portuguese, it will be a strong asset!